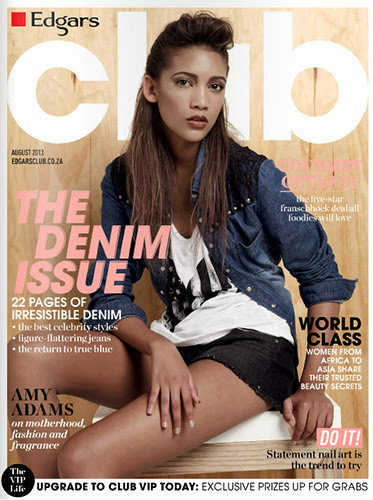 One of the hottest trends for this summer has been that of orange cheeks. In line with all the emphasis on contouring and bronzers we've seen this summer, orange is meant to give a sunkissed, warmed-up glow to the skin. No wonder every other brand has been releasing orange blushes, or if not, variations of the orange colour, like coral. 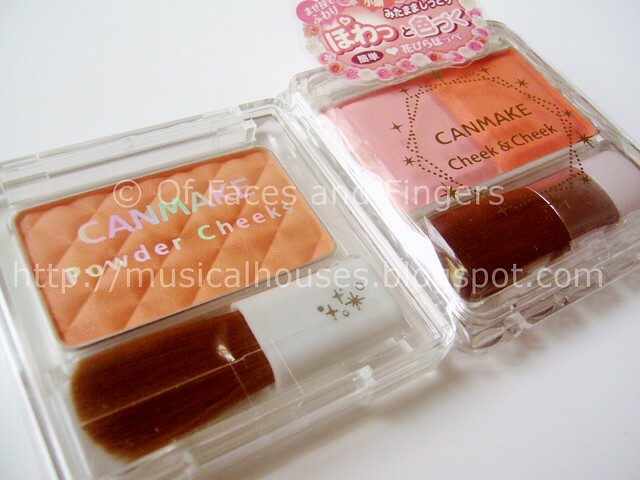 From the Asian brands, in this case Canmake, a Japanese drugstore brand that has been most aggressive in pursuing the orange cheeks trend, we have not one, but three products, with each of their blush lines receiving an orange-based colour. 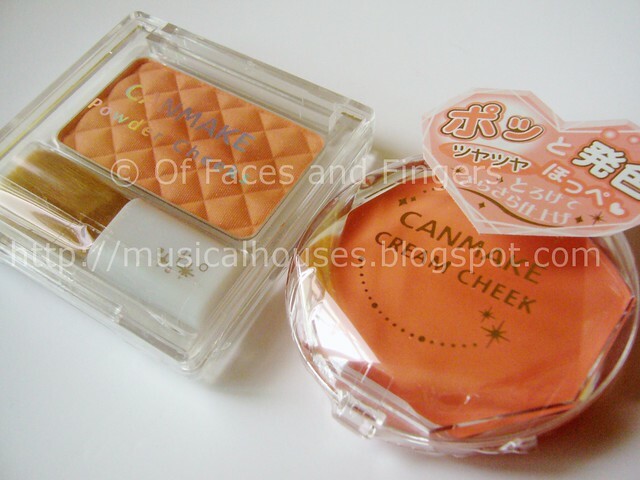 The first two products are both powder products - the Canmake Powder Cheeks in PW27, which is a pale pastel orange-peach, and the Canmake Cheek&Cheek in 01, which has your usual pastel pink on one side, and a brighter (but not as bright as Sleek's Aruba blush) orange on the other side. THe first thing you'll notice is that both these blushes have shimmer. The Cheek&Cheek version has more of it, but it's there too, in the Powder Cheeks shade as well. 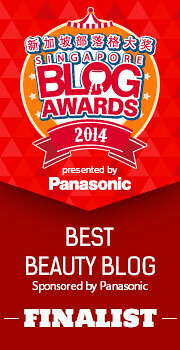 This is in contrast to the Sleek Aruba shade, which is matte. 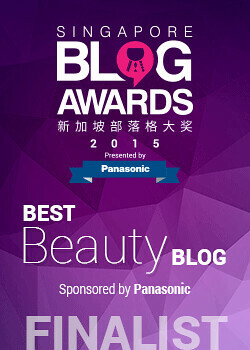 Shimmer in blushes sells in Asia - I don't know why, because I personally hate shimmer in my blushes. The second thing you'll notice is that in comparison to Sleek's Aruba Blush, the Asian brands have in general shied away from really bringing out the brights. Instead, they have translated the orange trend into "milky orange", which is basically a lighter, pastel, peachy version of the true orange shade. I'm not surprised at all, since bright shades in general do not sell well in Asia, which is a pain for a huge makeup lover like me. It's hard to find a unique shade of deep purple-taupe when every darn Asian brand is selling the same shade of gritty, glittery, pastel pink eyeshadow! I mean, of course these brands need to cater to the market, but jeez, you'd think someone would try to put out colours that appealed to the non-pastel, non-glitter wearing rest-of-us in general! So, which version of the orange cheeks trend do I like better? To be honest, the shades are so different, it's almost like comparing apples and oranges, isn't it? 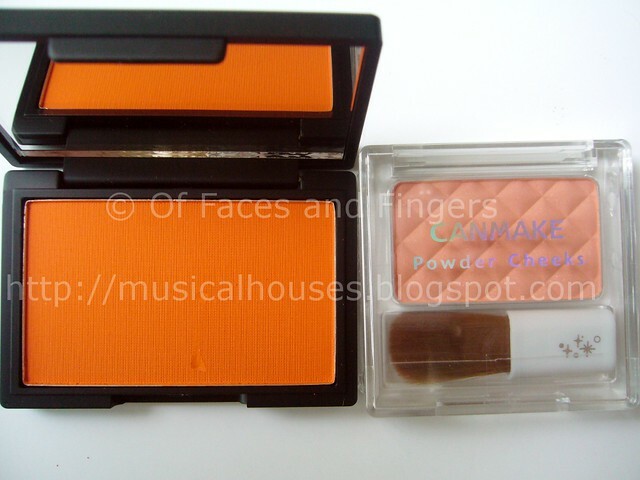 Both are great shades, and although I personally prefer Sleek's version of the bright orange vision better, for those who are more colour-shy, Canmake's milky orange is also a good way of wearing the orange cheeks trend. Which one do you prefer? I love orange blush, but I must be cautious with them as I'm so pale. I can get away with wearing Nars Taj Mahal if I apply with a skunk brush, though! I don't know who can wear bright orange on their cheeks. Just don't think it's workable. taking one brand from each part of the world is hardly any fair comparison.. and besides, orangey blushes have been around before this summer trend. would be great to see a wider and fairer representation of these orangey blushes from other brands. 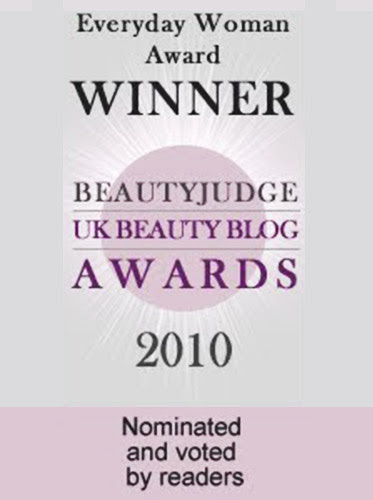 I have the Canmake Cream Cheek 12, but my fave is NARS Multiple in Turks and Caicos - pure, sheer orange! @sophia: It's true that I was limited to one brand from each part of the world as a comparison, since I can't possibly own every brand. But this was meant to be an illustrative example of how different parts of the world interpret the same trend differently, to cater to their own respective markets. It is a bit limited in terms of brands, but I think the main point still stands. That cream orange looks really nice! I remember it well, last year I was all "who the heck wears ORANGE on their cheeks?! will end up looking like the Oros man! This year I look in my makeup drawer and there is not one, but 5 blushes all some variant of orange. These hues are gorgeous! I need to consider orange blush. I honestly never thought of it until now. Wow! Thanks for sharing. I can not wait to walk into the nearest Sephora..! Because I'm so tan, I prefer the oranges that are on the more dramatic side. The lighter ones gray me out - if that makes any sense? Such a shame because I find it really hard to pick the right amount to apply.